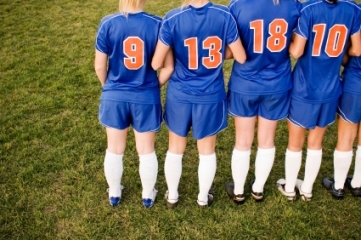 Home » US Soccer's High School Ban: A Question of Integrity? In February 2012, the US Soccer Federation passed a rule barring all athletes on its Development Academy teams from playing high school soccer beginning in the fall of 2012. The idea behind the ban was to help the United States produce better elite-level soccer players and teams by following the international model of club soccer. High school soccer, it seems, got in the way. US Soccer is no different than the governing bodies for softball, volleyball or swimming in recognizing that elite club competition may be more important than high school sports to an elite athlete's development. People in those sports acknowledge that clubs offer better competition, and make college scouting easier, since so many elite athletes are in one place. But, unlike US Soccer, they don't view a 10- to 12-week high school season as an outright impediment to an athlete's development or force athletes into an either-or choice. The fear was that new rule would hurt high school soccer, and now that the high school soccer season has started, those fears, unfortunately, are being realized. It's only mid-September, but high school soccer administrators and coaches are already feeling the impact, with the Detroit News reporting that dozens of top soccer players in Michigan are sitting out the high school season, and the coach of New York City's Martin Luther King High School, which has won thirteen championships in the last seventeen years, saying that his program is being hit hard. The high school soccer community could probably buy into US Soccer's plan a little more if it sensed there was a real nexus between US Soccer's rule and the development of elite players who'll someday play for the national team. You see, people involved in high school sports, like I am, aren't that self-serving. We could live with losing twenty, thirty or forty players from across the nation in order to build the foundation for future Olympic and World Cup teams. But US Soccer isn't forcing forty players, or fifty, or one hundred, or even five hundred high school soccer players to choose between being true to their school and professing fealty to US Soccer. No, they are taking out of circulation enough players to stock two teams at 78 clubs across the country. That's somewhere between 2,000 and 3,000 players! When US Soccer believes it needs to take over 2,000 players a year out of the high school sports system in order to develope future elite players, one can only draw one of two conclusions: that US Soccer is either very inefficient in identifying future elites or it is putting its own interests first and not being completely honest about what is behind the ban. High school soccer will survive because it has integrity. One can debate the merits of what US Soccer is doing, but when they tell over 2,000 players that they are somehow all future international prospects, I don't think it is demonstrating that same integrity. We deserve better from the national governing body of a major sport.